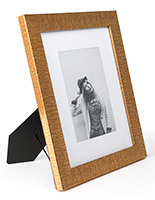 This 4 x 6 Photo Holder Can Be Used to Show A Portrait or Landscape Style Prints. A Glass Overlay with be Included to Protect Your Image. 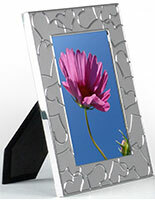 Order This 4 x 6 Photo Holder from This Online Catalog Today! 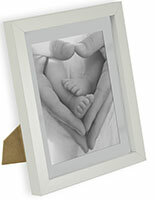 Includes easel backing for displaying portrait or landscape style pictures. Hanging hooks present at the back of the frame for wall-mounting options. Glass overlay provided to protect the image from fingerprints and dust. 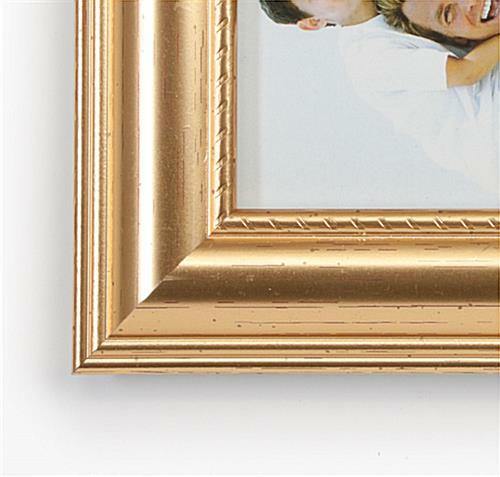 Elegant gold molded plastic profile complements easily to any theme photograph. 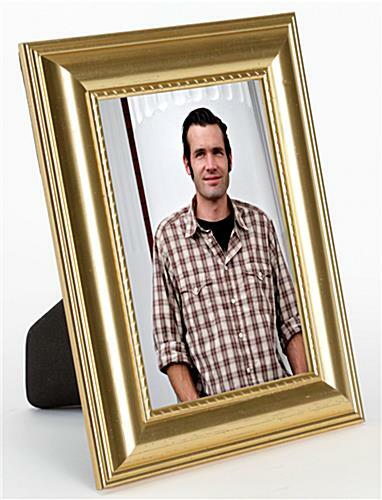 This 4 x 6 photo holder is designed to hold a portrait or landscape style image. The countertop display has a classic and elegant profile to showcase any theme artwork, advertisements or photos. 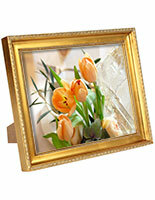 This countertop display, 4 x 6 photo holder that has an elegant gold finish complements easily to any environment. Users can displayed their favorite photographs on the desktop at work or on the pianotop at home. The displayer can also be used as a unique form of retail signage in upscale boutiques, hair salons and other commercial locations. 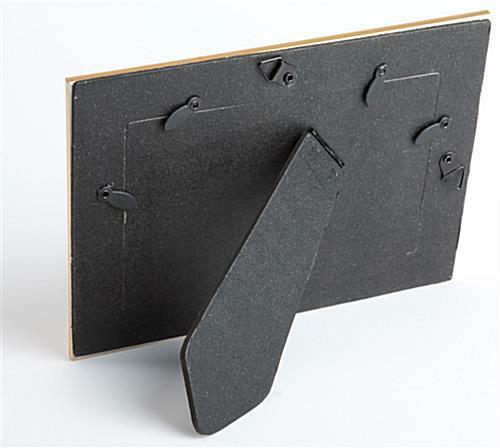 This cheap 4 x 6 photo holder, such as picture displayer and countertop display also makes great as number placards at formal events, like a wedding reception. In fact, these place card holders could even be given out as wedding favors. 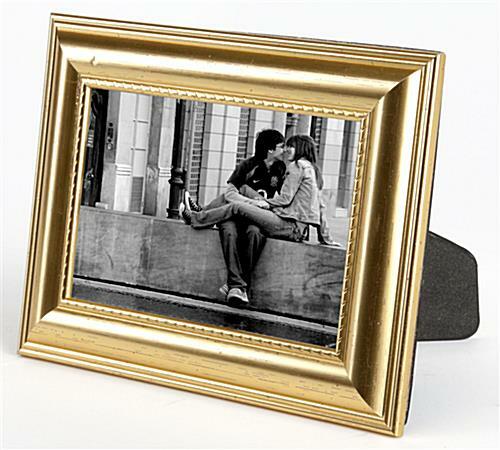 This plastic 4 x 6 photo holder that features a decorative molded profile makes the displayed photograph more attractive. 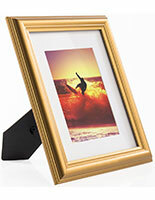 This picture frame, 4 x 6 photo holder that has an easel backing is a versatile displayer. The displayer also comes with mounting hooks for wall-mount options. The countertop display is constructed from polystyrene. 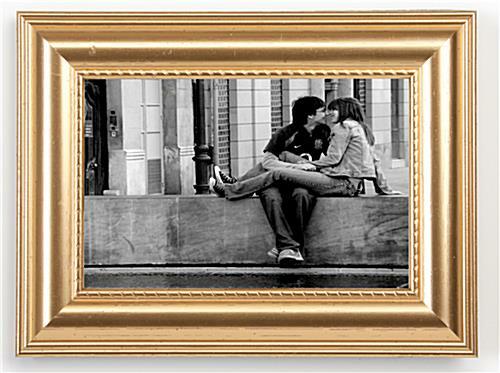 The material also makes this photograph frame less expensive compared to frames that are made from wood, acrylic and metal. For customers that are not looking to spend too much on a countertop display, this picture frame might be the perfect solution for your needs. At the back of each frame, there are retainer clips included which makes changing artwork simple and easy. Prints can easily changed and removed by simply unhinge the retainer clips and remove the cardboard backing. There will be a glass overlay provided with each unit to protect the content from getting damaged. Buy this countertop display at an economy price from this website.